We have all been watching the slow unfolding of events in Baltimore but this all comes back to a far bigger problem. we have allowed the Police everywhere pick up the arms and systems developed for the military and then deployed them with a fraction of the training we demand of the military. The most important part of military training happens to be the hours spent doing drill. I see scant evidence that that remains the case in the USA for far too many police men. Otherwise men act on impulse in a stress situation. That is no good. At the same time drill training also needs to be refreshed every two years or so to ensure skills are still good enough. I add that because i am assuming shortcuts in such a regimen. Everyone of these policemen broke discipline and turned into a mob with its blood up. Beyond that we have the obvious problem of mandated housing solutions that inevitably segregates the poor. This brilliant idea places call the angry young men into the same bar. Not a good plan.. If you have seen The Wire, you know the score. There are consequences to state management of any social order. Baltimore is a paradigmatic case. How long can people continue to evade the obvious lessons? Baltimore got the full brunt of it all, at every stage, decade after decade. What do all these policies have in common? They represent the fatal error, common for the better part of a century, of believing that policy elites can manage the social order better than the social order can manage itself. Only the ruling class can decide where and how people should live, how they will be educated, what they can buy and sell, the terms of labor contracts, what businesses come and go, and who gets to enter into certain occupations and the terms under which they may do so. The government would do it all: build and maintain the housing, provide the education, make the jobs, set the pay, enable the security, and administer the justice. How has this turned out? The results are in. During the riots, there were no dire consequences that were not observable all over the media: social alienation, racial conflict, a war between elites and the people, a loss of respect for property rights, moral desperation and anomie, and a profound loss of hope. That invariably comes with the loss of freedom. How it expresses itself can be unpredictable, confusing, and chaotic, but that bad ideas have bad consequences no one can doubt. This is why the typical bourgeois response to the events in Baltimore is so wrong. People look only at the surface and shake their fists. They say lock up these thugs. Impose martial law. Unleash the cops. These solutions sell well to a frightened public. But this is how fascism wins. It lives off the failure of socialism, and then we circle back around again, without end. What is wrong with the police-state solution? Notice how good the cops are at roughing people up when there is little danger and no real threat. But when the time comes when people actually hope that the police will defend person and property against invasion, times of genuine upheaval and fear, suddenly the police retire back behind their ramparts and lob smoke grenades into the crowd. It happens in every case of "civil unrest," and it's always astonishing. This is when property owners discover that they are on their own. But they are unprepared for the onslaught. So they welcome ever more mighty police forces, only to find out later that martial law makes them prisoners in their own city and still does not bring the peace that everyone wants. The persistence of this behavior should make everyone rethink their presumptions that aggressive, tax-funded, government-run policing is the right approach to security. 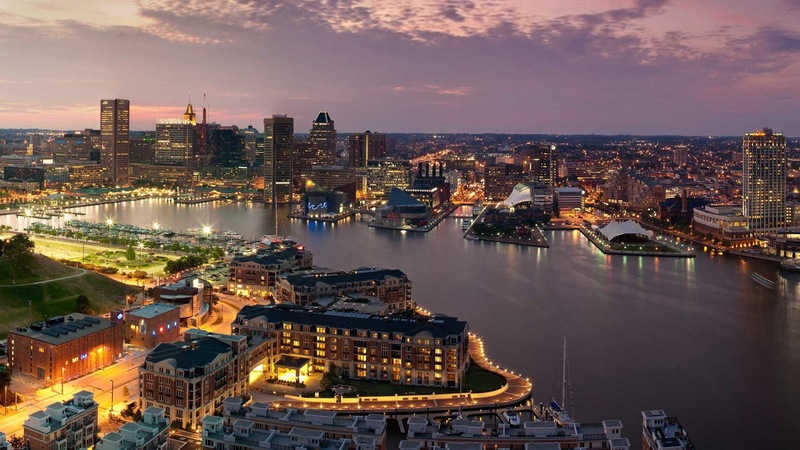 Escalation will work no better in Baltimore than it did in Baghdad. More force is simply not the cure for all social ills — that goes for drug policy, education policy, family policy, and labor markets. This is not about the failure of one mayor, one police force, or one president. It’s about the failure of an unworkable paradigm of social and economic management. How many other cities will burn before we admit it? How much longer must we endure pious lectures by left-wing intellectual elites about how “we haven’t done enough,” as well as the angry brown-shirted bromides by right-wing pundits about how recalcitrants need more iron-fisted blows to the head? We are witnessing the terrible costs of a failed worldview that resulted in many failed states. What remains to us is the option to try what we should have done long ago: permit people to work out their problems for themselves, unmolested and unimpeded in the exercise of their human rights. They can and will take care of themselves.